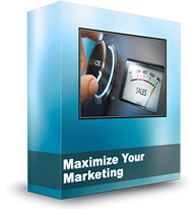 Dental marketing success relies on choosing the most effective ways to promote your practice. Dentists can market themselves in all kinds of ways, including dental websites, new patient mailings, TV ads, and social media. “Direct mail marketing is the most important, but now we’re putting more of a focus on growing our online dental marketing,” said a Minnesota dentist. 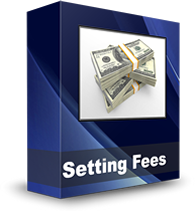 “If you don’t ask for referrals, you don’t get them!” advised a Massachusetts dentist. Jim Du Molin and Julie Frey discuss a survey that asked dentists about their most effective dental practice marketing tactics. 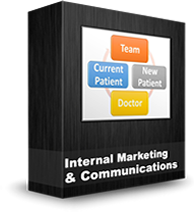 Two out of three dentists in this survey said internal marketing is the most important. There’s nothing like referrals from your current patients. Next was internet dental marketing, which one in five said was most important to them. Only 7% said direct mail marketing was the most beneficial, and another 7% voted for traditional media like newspaper, TV and radio ads. Of course, Jim is biased in favor of online dental marketing. 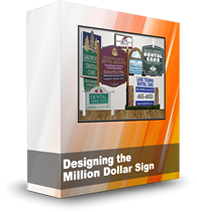 “Word of mouth is always number one, and under that would be focused direct mail. Internet marketing is catching up, but the quality of the patients is always less,” said a Massachusetts dentist. “If you treat your patients like you would treat your family, then the best ‘marketing’ or good word of mouth takes care of itself! We really only market our practice by being active in our community and being very good to our patients, and we get about 30 new patients every month,” said an Alabama dentist. “How do you define important? The internal is the most important, but the internet brings most of our clients in a new business,” said a Missouri dentist. 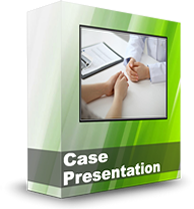 “Internal marketing and word of mouth clearly bring in the BEST new patients for us. 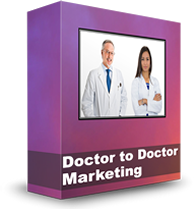 We receive the most new patients from internet and direct mail marketing. Printed phone book marketing is fast becoming one of the least important marketing vectors for us because the return on investment is getting smaller and smaller,” said an Ohio prosthodontist. 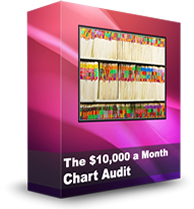 Analyzing your ROI is the best way to determine which of your dental practice marketing efforts are most effective. Bottom line: use any marketing avenue where your profit ends up being greater than your expenses. Internet Dental Alliance, Inc. (IDA) has new online dental marketing plans for dentists who want to attract high-value patients that match their clinical skills. 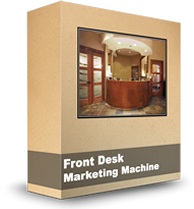 The New Patient Marketing Machine® Professional level package features pre-made videos, social media tools, automatic mobile marketing integration and much more. 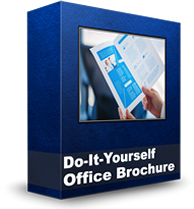 IDA’s dental marketing system provides a rich set of tools for doctors who have online experience. The Premium Video library includes professionally produced videos that explain complex dental services such as dental implants, veneers, sedation dentistry, gum disease prevention, etc. They can transform a well designed dental website into a high-end authority site in the time it takes to upload them to the IDA Control Panel. 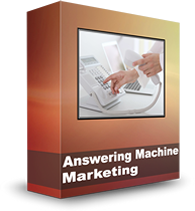 The New Patient Marketing Machine® for web-savvy dentists also includes cutting edge mobile marketing integration to connect with prospective patients searching for a dentist from their smart phones and mobile tablets. Each Portal has its own mobile dental marketing enabled to set appointments, feature online coupons and special offers, and display directions and an interactive map to the dental office. Additional system elements include strategic dental marketing trend reports for more than 10 dental markets, expert assistance in setting up and optimizing the practice’s Google Places account, and Web Portal integration with the practice’s Facebook page and custom tabs. Ida will also provide a phone consultation with its support staff to customize and launch all five portals in 20 minutes. 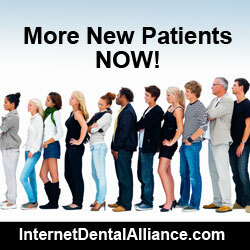 IDA is the largest North American provider of websites for dentists, email patient newsletters and dental directories. Known for its cutting-edge approach to dental marketing, it completed development of its advanced LeadFire technology in 2012. LeadFire’s proprietary content generation technology makes it possible for doctors to generate new patient leads within minutes of set up, and uses organic geo-targeted local search, customized and optimized for each dental practice . 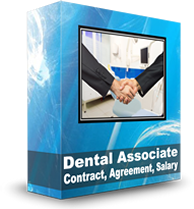 Internet Dental Alliance provides dental website design, find-a-dentist websites, online newsletters and other dental practice marketing advice.